Sally Nencini: Toys for me! 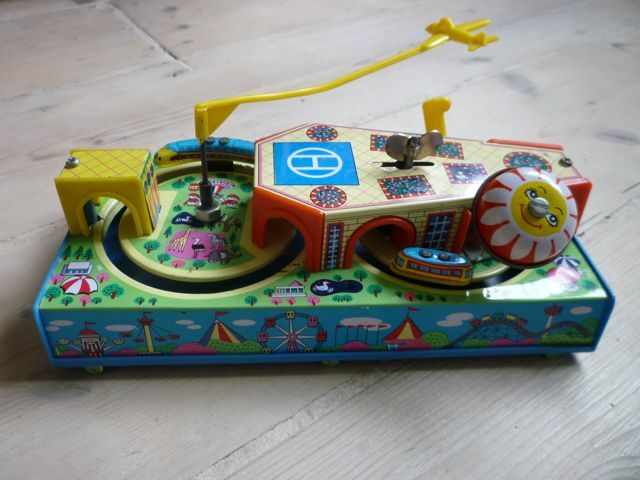 I found this wind up tin toy at a car boot sale at my daughters school, from the 60's or 70's, I say its for the children but it's really for me! 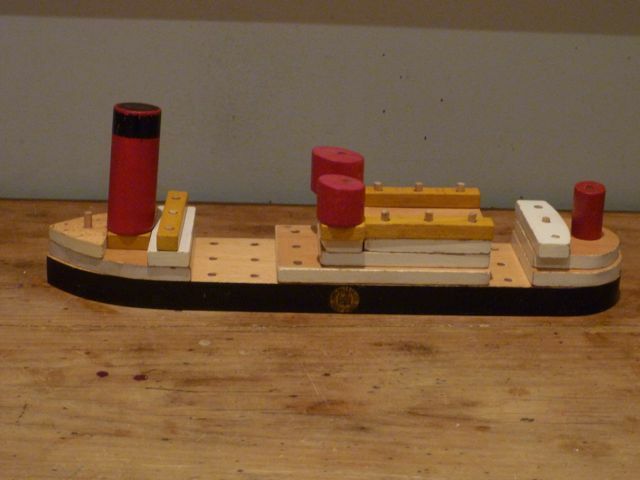 Always on the look out for old Galt toys, I got this wooden boat on Ebay. It's so clever, can be made into any shape you desire using the pegs and blocks. Kept me and the children busy for ages! I'd never seen that kind of boat before, what a great find. Thanks Fanja and Kristen, I have more lovely Galt toys I have collected over the past few years which I will post soon! So nostalgic! Love Galt too, this is a really nice one!